MUMBAI, INDIA: The transition to IoT is underway for global manufacturers according to the findings of a new survey. 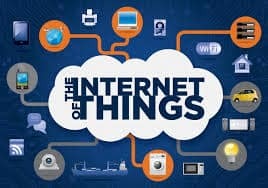 According to the survey commissioned by Infor, 10 percent of manufacturers have an established IoT project underway, with 22 percent either running a pilot or planning a project within the next 12 months. Over a third (38 percent) are investigating its potential. The research, which polled manufacturers across 12 different countries, including North America, UK, Germany, France, Italy, China and India, revealed that IoT is the single biggest business priority for one in ten manufacturers across the world right now, with 28 percent putting it in their top three. The benefits of IoT are well documented, with new revenue opportunities based on the monetization of information billed as one of the most exciting. However, it seems the majority (55 percent) of the manufacturers view cost savings from greater operational efficiencies as the greatest opportunity associated with the initiative, with a third envisaging competitive advantage through additional revenue from new services, the researchers noted. Specific benefits, according to the research, are likely to come through productivity, which topped the list according to 20 percent, followed by better insight and decision-making (15 percent); greater utilization of equipment and machinery (15 percent); new services (11 percent); and new revenue streams (13 percent). However a lack of ownership is impeding adoption with respondents citing a total of nine different functions as the primary drivers of IoT. These span a range of roles from the executive team (31 percent) and IT (28 percent), to marketing (5 percent); manufacturing operations (13 percent) and facilities (6 percent). When asked about challenges to IoT implementation, respondents pointed to a lack of skills, unclear benefits and cost as the primary culprits. “Manufacturers, challenged by the constant need to improve productivity, see the competitive advantage available to them through exploiting IoT technologies. This research confirms that over half of manufacturers recognize the potential and are either piloting projects or actively investigating use-cases,” said Andrew Kinder, VP, Industry & Solution Strategy, Infor. “But with only 10 percent claiming complete readiness – there is clearly an untapped opportunity ahead for companies with the right vision. Our advice would be to look at the device data you are already collecting – most plant equipment is already instrumented – and ask what questions could you answer if only you could collect it, apply analytics and distribute the insight quickly to the right decision maker? Even better, who outside your organization would want to purchase the information only you can provide? Then have this conversation with your technology provider – the pieces are all available to turn it into a reality,” he advised.